Julie continues her business expansion in the U.S as the demand for her exquisitely designed and personalized wedding cakes has grown exponentially. She is currently focused on key wedding market sectors and is looking to engage with strategic partners. She will base her business from beautiful Sarasota, Florida. Julie is currently exploring North American publication of her first English-language edition work to be entitled, JULIE DEFFENSE ARTISTRY: A Life of Romance, Beauty, Culture and Cake. 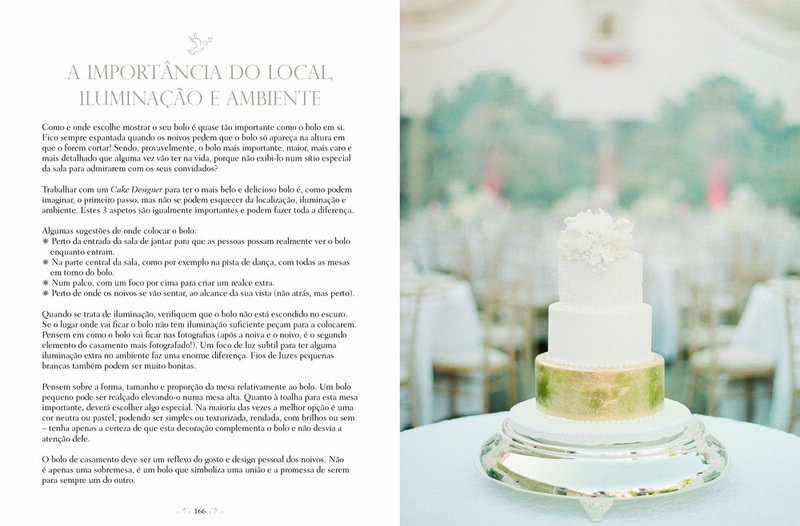 Julie’s most recent illustrated cookbook, published in the spring of 2016, is entitled A Bíblia dos Bolos de Casamento (The Wedding Cake Bible) and features some of her best wedding cake creations, along with recipes and instruction on professional design and decorating techniques. Her second work, As Festas da Julie (Julie's Parties) is the sequel to her first book, Os Bolos da Julie, and features sweet and savory treats for celebrating special occasions, especially at home. The book is cleverly organized to follow seasons of the year and includes menu suggestions to make every party a success. Os Bolos da Julie (Julie's Cakes) is a collection of family recipes featuring American style desserts. This book was awarded a Gourmand International Book Award for best cookbook photography in Portugal. Julie is featured among international "cookbooks for all tastes, cooking with great chefs."